Once the decision has been made to go with an alternative energy source, the question of who can install solar panel systems has to be answered. There is a lot of information on the internet and available by mail concerning how these systems work and the various types of equipment that is necessary to correctly put one of these alternative energy collection stations in place in a home or a business. However, many people may not realize that there are trained technicians who specialize in, and these are the people that should be trusted to do the job. The NABCEP or the North American Board of Certified Energy Practitioners offers a test that will allow a person to become a licensed technician. Schools that have accredited courses for the Institute of Sustainable Power will allow a person to earn the credits necessary to become eligible to take this licensure test. Another way that an applicant can take the test is if they have successfully completed an apprenticeship, which will indicate that they have participated in the complete operation of putting two of these systems in place over a two year span of time. Once they have completed the classwork or the apprenticeship and passed the exam, they will then be qualified as a technician who can install solar systems. It is important that those who can install solar or photovoltaic systems have the proper knowledge and experience to do the job right. Of course there may be more than just one type of technician involved in setting up the system. There will be a need in some cases for electricians, carpenters, plumbers, roofers and metal workers. Many of the companies that offer these systems have these technicians in their employ on a regular basis. This is also important because there are more than just panels that need to be placed. There is a lot of wiring involved in connecting the modules together and then connecting the entire system of panels to the home or business in order to begin to deliver power to it. Frames for the entire outfit must be made, whether they are installed on the roof or another type of substation on the ground. This is why all of the people listed above may be needed at one time or another during the process. Technicians who can install solar or photovoltaic systems have options as to how they come about their certification, but the best companies will always offer technicians who have either on the job experience or classroom experience and they will always be certified. 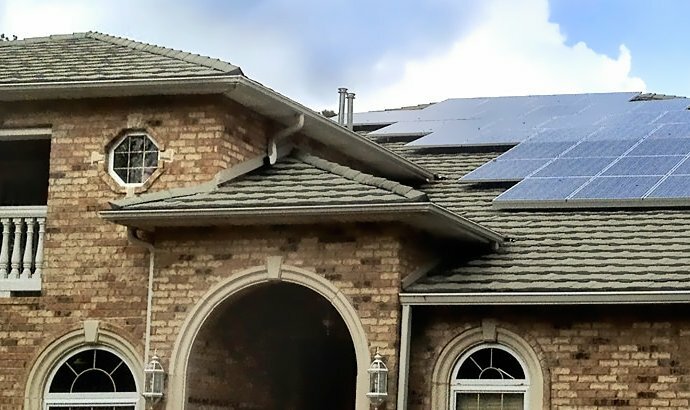 There may be many that advertise that they are a company who can install solar systems but without the certification behind them, it would be a rather iffy idea to hire them. It is always good to vet any contractor that will be hired to do any job to make sure that they are who they say they are and that they have the ability to get the job done. A little homework can avoid a big headache later.